Newborn Son Of Shamima Begum Has Died In Syria Shamima Begum, who was 15 when she fled to Syria in 2015, had been begging to return to the U.K. prior to her son's birth last month, saying she feared for his health. He died of pneumonia. Shamima Begum was stripped of her citizenship last month but her child, a boy, was still considered a British national. However, the government argued it was too dangerous to try to retrieve the newborn from the sprawling refugee camp where the pair lived. The infant son of a British-born woman who ran away from home to join ISIS has died, a spokesman for the Syrian Democratic Forces confirmed on Friday. A medical certificate listed pneumonia as the cause of death, the BBC reported. The baby was less than three weeks old when he died Thursday. 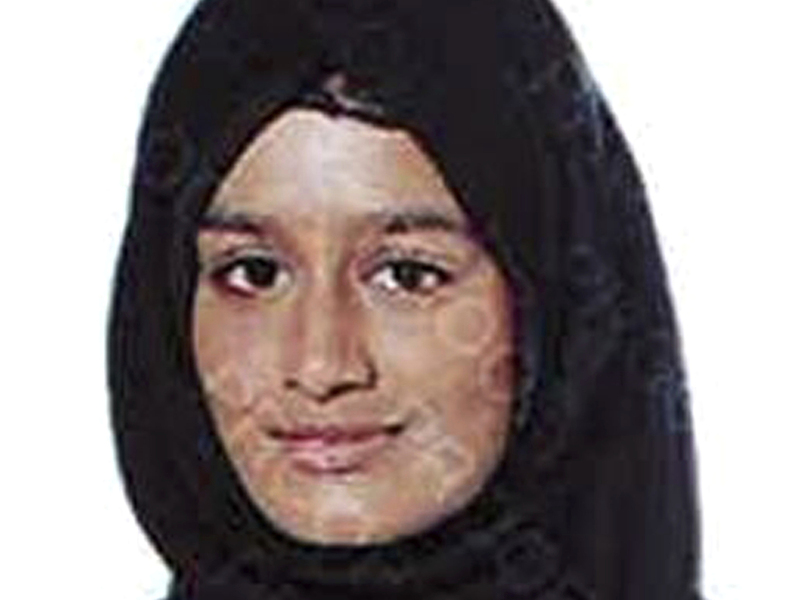 Shamima Begum, who was 15 when she and a couple of friends fled to Syria in 2015, had been begging to return to the U.K. prior to her son's birth, saying she wanted to raise him in Britain. The young mother has been living in a refugee camp in northern Syria and had told reporters she feared for her newborn's health. Begum previously had two children who allegedly died due to malnutrition and disease. But following her third child's birth last month, British officials stripped the 19-year-old of her citizenship as it is permitted to do in cases where it is "conducive to the public good." Home Secretary Sajid Javid clarified at the time that the revocation applied to Begum alone — her child would remain a British national because he had been born before the decision. But the government made no effort to extract the boy from Syria and deliver him to Begum's family in London. Javid explained it would be "incredibly difficult." In a March 5 letter posted to Twitter by Begum's lawyer, the government's Home Office explained that a recent request by the family to bring the baby to the U.K. had been submitted to the wrong agency. It instructed Begum's sister to make her pleas to the Foreign and Commonwealth Office "which is obliged to consider request for consular assistance." However, the Home Office noted, that agency has not had consular representation in Syria since 2012. In an interview with the BBC before authorities had confirmed the baby's death, Javid said: "Sadly there are probably many children, obviously perfectly innocent, who have been born in this war zone. ... I have nothing but sympathy for the children that have been dragged into this. This is a reminder of why it is so, so dangerous for anyone to be in this war zone." Critics of the British government's inaction and claims that it is too dangerous to enter the region, note aid workers and journalists have reached people, including Begum, within Syria's sprawling refugee camps on multiple occasions. A reporter from The Times of London, met and interviewed her in camp teeming with about 39,000 people when she was nine months pregnant in mid-February. Days later she was interviewed by the BBC. Member of Parliament Diane Abbott of the Labour Party tweeted, "It is against international law to make someone stateless, and now an innocent child has died as a result of a British woman being stripped of her citizenship. This is callous and inhumane." Begum and her family argue the government has rendered the British-born woman stateless. They deny the government's claims that Begum, like her mother, is a Bangladesh national. The infant's father, a Dutch ISIS fighter who was captured and is being held in a nearby prison, was informed of the baby's death. Begum buried the child at the refugee camp on Thursday.